The ever popular Louis Philippe style is updated with functional accoutrements in the Abbeville Bedroom Collection. 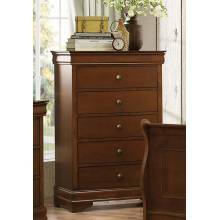 Button and bale hardware grace the drawer fronts of each piece in the collection, while unbeknownst to the casual observer, there is hidden drawer storage on the Nightstand, Dresser and Chest – each easily accessible with a pull of the front top frame. 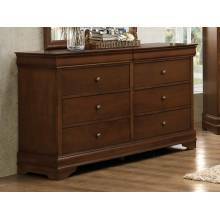 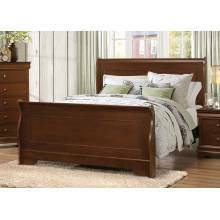 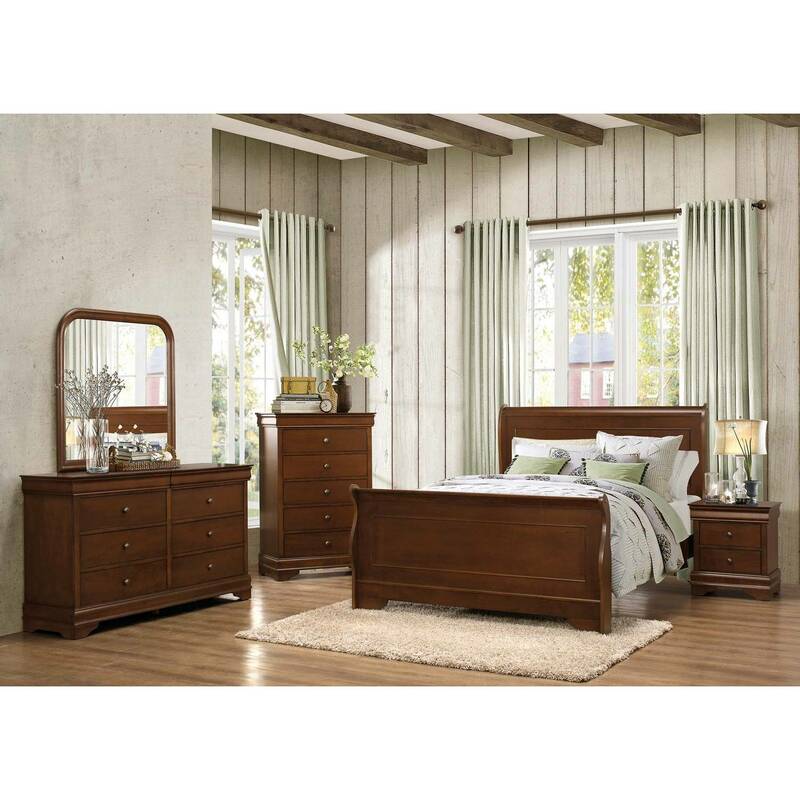 The Sleigh bed furthers the timeless look of this Abbeville collection from . 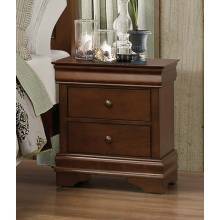 Okume Veneers are elegantly highlighted with a traditional brown cherry Finish.